One of them is just $7.48. It’s always a good idea to keep a spare flash drive on hand to help you move and store data in a pinch. 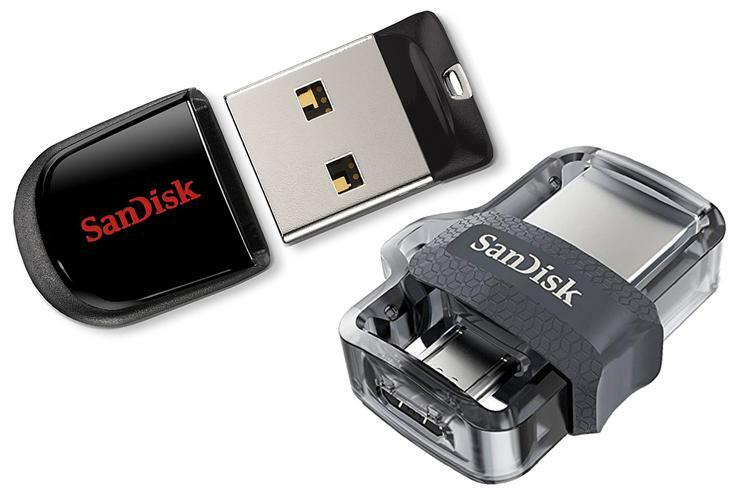 Today, you can choose one of two 32GB SanDisk flash drives for less than $11, making that preparedness and convenience cheap. The SanDisk Cruzer Fit is $7.48 todayRemove non-product link, down from a list price of $16 and its lowest price. This tiny USB 2.0 drive features a built-in LED light so you can tell when your drive is working. It also provides an extra layer of security through its compatibility with SanDisk’s Secure Access software. This drive is a hit on Amazon, with 4.5 stars out of 5 across more than 12,000 user reviews. The SanDisk Ultra Dual Drive m3.0 is also at its lowest price todayRemove non-product link—it’s $10.51, down from a list price of $16. This drive features dual connections, with a micro-USB on one end and a USB 3.0 connector on the other. You can easily access and organize your data with the compatible SanDisk Memory Zone app. This drive is also well-received by Amazon users, with 4.1 stars out of 5 over nearly 200 reviews.